Pizza at Navi Kitchen, lamb burger at Reem's, and mini doughnuts at Sweet Belly. Hopscotch's doughnuts with butterscotch cream. Oakland Restaurant Week is back, with special prix-fixe menus and other dining deals all over the city starting Thursday, Jan. 11, and continuing through Sunday, Jan. 21. This year, more than 70 restaurants are participating. The best straight-up deal on the whole list is technically in Emeryville: Navi Kitchen (5000 Adeline St.) is serving pizza for $10. Chef-owner Preeti Mistry’s Indian-accented pies usually go for about $20 and are fairly large at 14 inches, easily feeding two or three people. This is also a great option for vegetarian and vegan eaters — two out of the four options can be made vegan, including the Grateful Guju, with fenugreek pesto, ginger Brussels sprouts, caramelized onions, and roasted squash. Understandably, Navi is placing a limit on customers at two pizzas per day. Given that the lamb burger at Reem’s (3301 E. 12th St., Ste. 133) is usually $16 all by itself, the Arab bakery and restaurant’s $20 dinner special — which pairs it with za’atar-spiced, crispy Brussels sprouts and dessert — feels like a steal. If you’re vegetarian, swap out the lamb burger for one of the bakery’s wonderful flatbreads. 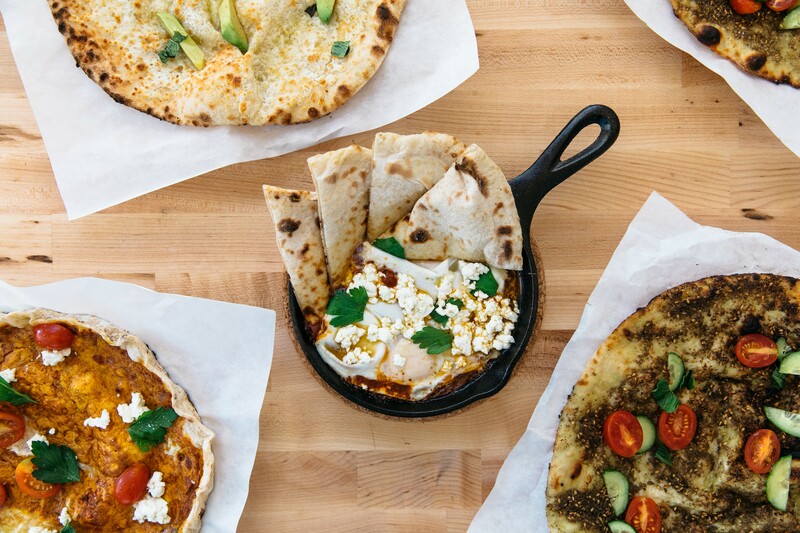 Reem’s is also doing a special $20 brunch, which includes the eatery’s signature flatbread; ful mudammas, a fava bean stew topped with a poached egg; a fresh veggie platter with halloumi cheese; and tea. It will feed two or three people. A brunch spread at Reem's. This Taiwanese restaurant near Jack London Square is all about bang for your buck. This year, Dragon Gate (300 Broadway) is offering five different prix-fixe menus that range from $10 for two courses with milk tea or $50 for five courses with two cocktails — the latter is the best value, with $23 in savings. Even if it’s not the very best deal, I’d probably go for the $20, three-course dinner that includes Dragon Gate’s delicious, earthy beef noodle soup. A perennial favorite for good reason, Hopscotch (1915 San Pablo Ave.) blends an upscale American diner vibe with Japanese flair and consistently delivers delicious eats. For Restaurant Week, Hopscotch is also offering a few prix-fixe menus, including a quick $20 lunch that includes a burger or sandwich, beverage, and dessert. However, given the strength of Hopscotch’s kimchi fried rice, with perfectly soft, Jidori eggs and pork belly, I’d go for the $30 brunch, which also includes booze and coffee. This popular Asian-Mexican fusion spot (1901 San Pablo Ave.) also gives you the chance to head over to Belly’s sister establishment, Sweet Belly (435 19th St.). For $30, you and a friend can split any four tacos of your choosing — I recommend the steak and eggs — plus an order of fries and two non-alcoholic drinks at Belly. 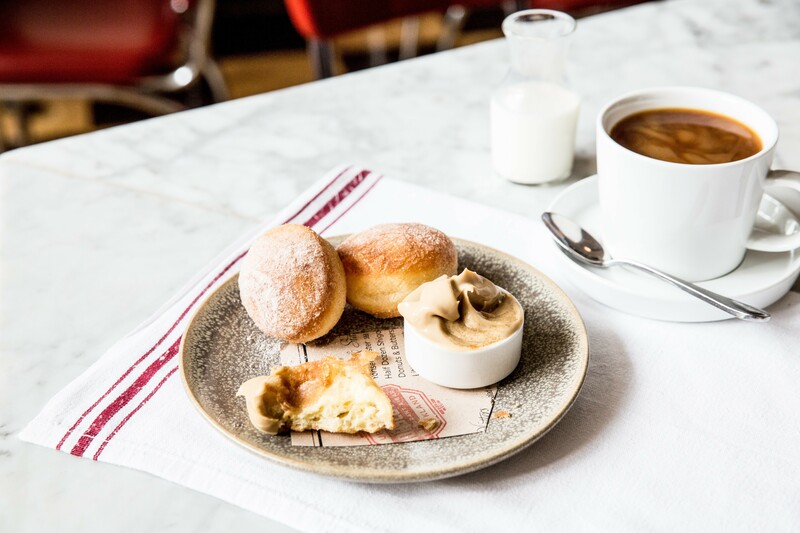 Afterward, you can walk two blocks over to Sweet Belly for soft serve ice cream and six made-to-order mini doughnuts, still soft and warm from the fryer. Editor's note: An earlier version of this story mistakenly stated Dragon Gate's $50 menu included three courses instead of five.